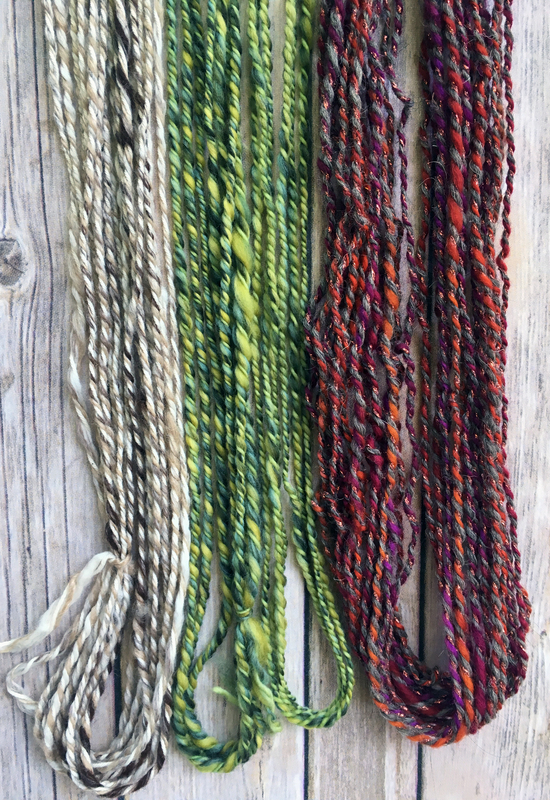 Have you ever wondered what happens when you ply a commercially-spun yarn with handspun singles? 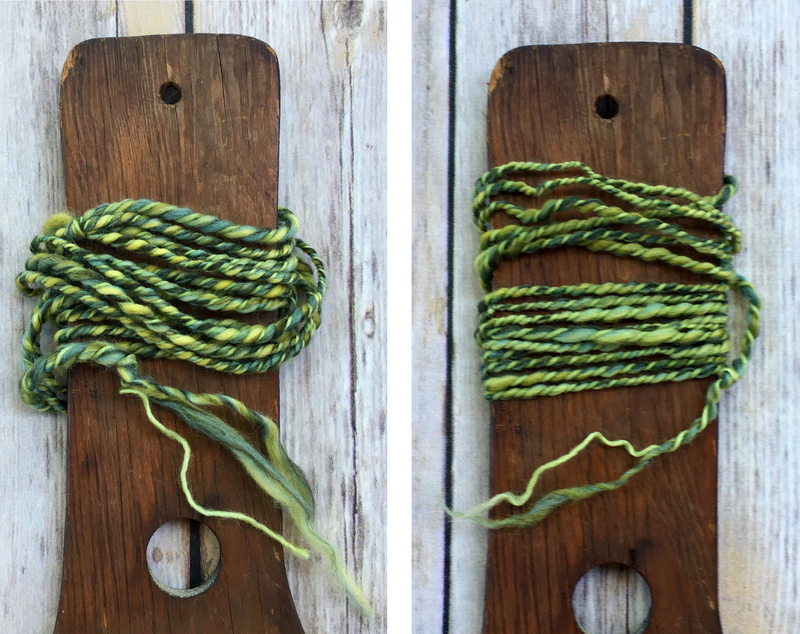 This can be a fun, quick way to give new life to your handspun creations. Experimenting with leftover singles and yarns from your stash is a great way to see what works, without committing your time and resources to a bigger project. You might be surprised with what you discover! Here are just a few ideas to try - you can click the images below to enlarge! 3. Choose-your-ply Merino: 1 hand-dyed commercially-spun single ply merino + desired number of handspun merino singles. Below left is a 3-ply; below right is a 2-ply. There are so many more possibilities you can explore, these are just a few ideas to get your creativity flowing! You can also experiment with adding buttons, beads, sequins and other additives during the plying process to create unique art yarns. Click here to get our free tutorial PDF! Whether you'll be competing in the Tour de Fleece next month or just want to try something new, we hope your summer is filled with lots of sun and spinning!